Comfortable, luxurious country house "Haus Tuer - 5 Star", built in 2007. 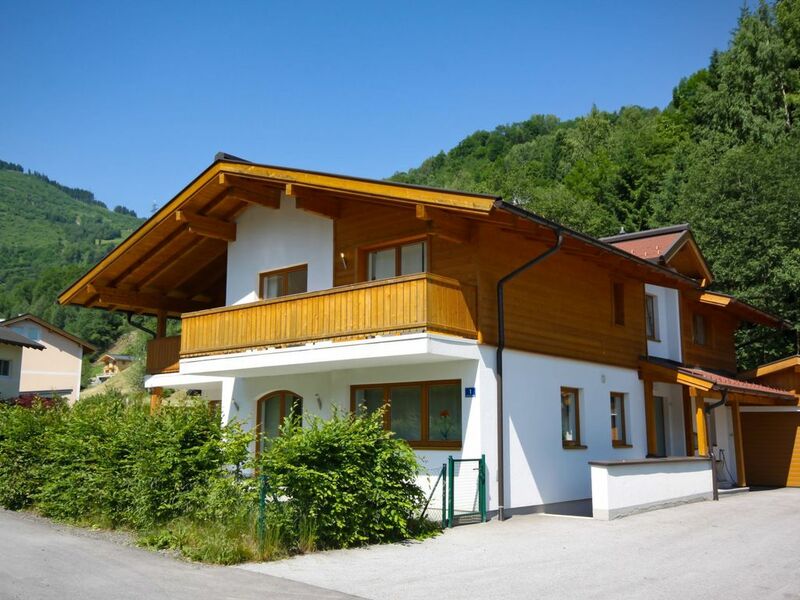 1.3 km from the centre of Kaprun, in a sunny position, 7 km from the lake, 7 km from the stream, located by a road. Private: garden (fenced). Terrace (83 m2), garden furniture, barbecue. In the house: sauna, fitness room, solarium (extra). Relaxation room, sun terrace, storage room for skis. Motor access to the house. Parking at the house. Shop 1.3 km, grocery 1.5 km, supermarket 50 m, restaurant 150 m, bakery 1.3 km, indoor swimming pool 700 m, thermal baths "Tauern Spa" 4 km, bathing lake "Krössenbach" 7 km. Golf course 4 km, indoor tennis centre 300 m, cable car 2 km, ski lift 1.6 km, skisport facilities 1.6 km, ski bus stop 150 m. Well-known ski regions can easily be reached: Maiskogel, Kitzsteinhorn. Well-known lakes can easily be reached: Zeller See. 8-room villa 380 m2 on 3 levels. Comfortable furnishings: entrance hall. Living room 100 m2 with satellite TV, hi-fi system and tiled stove. Exit to the terrace. Open kitchen (5 hot plates, oven, dishwasher, microwave) with bar, dining nook. Sep. WC. On the lower ground floor: living room with satellite TV and DVD. 1 large room with separate WC and shower. Upper floor: 1 double bedroom with separate WC and shower. Exit to the balcony. 1 double bedroom with separate WC and shower. Exit to the balcony. 1 double bedroom with bathroom and separate WC. Exit to the balcony. 1 double bedroom with bath/WC. 1 double bedroom with shower/WC. 3 balconies, terrace 83 m2. Terrace furniture, barbecue, deck chairs, box-room. Marvellous view of the mountains. Facilities: washing machine, dryer, sauna. Internet (WiFi, free). Reserved parking. Please note: non-smokers only.